This is the seventeenth in a multi-part series called The Tzniut Project. Women from a variety of backgrounds with a variety of observances have volunteered to anonymously answer questions that I have written about their practices, people's assumptions, and more. For more information on origins the project, click here. Please continue to check back with The Tzniut Project to read more stories and comment abundantly! Note: This post is contributed by a reader. I did include a comment, if only for posterity's sake! I consider myself centrist Orthodox. I disagree with certain aspects of the chareidi hashkafa, like the push for all men to learn in kollel and the suspicion of science and secular learning in general, so intellectually I identify with modern Orthodoxy. However, practically speaking, I don't feel that I fit in the modern Orthodox community because of what I'll call the Big Three Syndrome: there's a disproportionate emphasis on keeping Shabbos, kosher, and mikvah. I don't like the attitude that if you're keeping those mitzvos, you're all set. I'm also uncomfortable with the way many modern Orthodox folks compartmentalize their lives: over here I'm keeping Torah, and over here I'm working at my secular job, and over here I'm spending time with my family and friends ... To me, centrist Orthodoxy means acknowledging that we can learn from the secular world, while still being committed to full halachic observance at all times and in all places. My grandmothers both dress very modestly by secular standards (loose-fitting slacks, long sleeves, high necklines). My mother does not dress particularly modestly -- lower necklines, sleeveless tops -- but she was always adamant that I not wear miniskirts. I did not dress b'tznius growing up, but I dressed more modestly than my peers. No one told me to -- I was simply uncomfortable with revealing as much skin as was cool in my circles. I am not yet married. I hope that my future husband will like to see me looking and acting tzanua, including covering my hair. 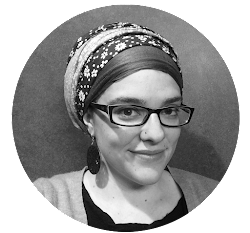 I plan to cover my hair with a scarf or snood, partially since it seems the most true to the spirit of the halacha, and partially since it identifies me with my ideological community. It's true that tznius of dress is more personal than some other mitzvos. For example, the standards of kashrus I maintain in my kitchen will affect my husband and children, but only I have to wear the clothes I pick out for myself. However, my observance of hilchos tznius is part of my overall spiritual identity, which can have a huge impact on my family. If my husband went without a kippa, I would feel that this affects me and that I am entitled to comment on it. Similarly, I feel that a husband is entitled to have a say in the tznius standards of his family members, including his wife. On a typical weekday, I wear a casual skirt below the knee (corduroy, khaki, denim) with a plain T-shirt (covering my collarbone) and a long-sleeve cardigan. I usually wear sneakers or clogs and wear my hair pulled back out of my face. I do not usually wear jewelry during the week (unless I'm going to a fancy event or a simcha). When we talk about tznius of dress, people think of skirt and sleeve length, but things like long, loose hair, big earrings, and even perfume are also discussed in halacha. My Shabbos clothing is very different from my weekday clothing. On a typical Shabbos, I wear a dress or a fancy skirt and top with nice black flats. I wear my hair pulled back, but I try to make it slightly fancier than a regular weekday ponytail. I usually wear small pearl earrings and sometimes a pearl necklace. I try to dress for Shabbos like I would for a fancy event, because that is part of giving kavod to Shabbos. I also try to keep my Shabbos clothes special for Shabbos and not wear them for weekday activities, although I would wear them to a simcha on a weekday. One subtle but significant difference between my weekday clothes and my Shabbos/Yom Tov clothes is that I always wear stockings or socks on Shabbos, while on weekdays I often don't, especially with ankle-length skirts. I wear stockings on Shabbos not because I want to be more tzanua on Shabbos, but because for me, wearing stockings is part of feeling dressed up. I agree with the opinion that the halacha regarding stockings varies from one community to another. B'ezras Hashem I'll be in Israel for a few months in the near future, and while I'm living in Jerusalem I plan to wear stockings or socks all the time, because that seems to be the minhag hamakom. Wearing stockings is something I'd like to take on full-time eventually, because I think it looks refined and classy, which is a big part of tznius for me. My standards of tznius don't exactly match my hashkafa in other areas. I think I keep more machmir standards of tznius than other women who are ideologically similar to me -- I don't wear "the uniform" but I do look more yeshivish than the other women in my modern, liberal shul. It seems that tznius has become optional in the more modern sectors of the Orthodox community. I know many women who are fully, deeply committed to keeping Shabbos, but who see no problem wearing pants or tank tops. I think this stems from the compartmentalization I mentioned above. When one sees Torah as a set of ritual and spiritual practices rather than as a comprehensive lifestyle, it's easier to disregard certain mitzvos as outdated or less important. I hope that by dressing according to halacha and simultaneously being open-minded and more modern, I can show that tznius is not just a mitzvah for chareidi women, but for all Jewish women. This is a sensitive issue. I admit to judging other women based on the way they dress and act. It's not that I would see an otherwise frum woman in pants and think, "She's a bad Jew." I might, however, make assumptions about how she's keeping other mitzvos based on how she's keeping tznius. In one woman's response [here on The Tzniut Project], she noted that she doesn't think it's reasonable to judge someone's kashrus, for example, based on her tznius. I disagree with this, because I see halacha as a comprehensive system. That doesn't mean it's all or nothing -- no one is perfect, and keeping some halachos is certainly better than keeping no halachos. But when an otherwise frum woman who has been well educated in the Orthodox system decides that keeping hilchos tznius is not important, that says something about her overall commitment to halacha. Tznius is no less a halachic requirement than Shabbos or kashrus or mikvah. If a woman gives me a reason to doubt her commitment to halacha, then I may very well be uncomfortable eating in her house. I admire women who keep stricter standards of tznius than I do, although I don't think halacha requires it. One thing I do have a problem with is the new phenomenon of chareidi women covering their faces with a burka-like garment. There is a world of difference between trying in earnest to live a mehadrin life, and creating entirely new issurim. "Lo sosef alav, v'lo sigra mimenu" -- don't add onto the Torah, or take away from it (Devarim 13:1). There is such a thing as being too machmir. Tznius isn't just an outfit -- it's a midah, like justice or chesed. To me, tznius means striving to be the kind of person who walks with Hashem, and the clothes I wear are just one part of that -- it's also about being humble, speaking in a refined way, being sensitive to my own privacy and the privacy of others, and knowing the appropriate time and place for everything. It's about protecting my dignity as a daughter of the highest King. In the chareidi world, I've noticed the prevalence of the idea that just as Torah learning is the one central mitzvah for men, tznius is the one central mitzvah for women. I really disagree with this. The obsession with women's dress in some chareidi circles seems very unhealthy to me, especially since it's obvious that in the early sources, the subject of tznius didn't get nearly as much air time it gets today. I think this is most likely an expression of the ever-widening gap between the frum world and the secular world. Until relatively recently, there wasn't so much difference between secular women's clothing and Jewish women's clothing. 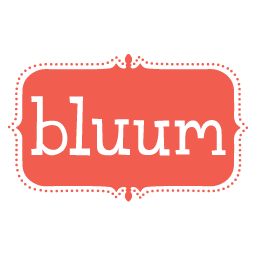 Now that the secular world is pushing further and further left, and very revealing clothing and undignified behavior has become acceptable, the frum world feels, perhaps subconsciously, that it needs to push further right to insulate and differentiate itself. The irony, of course, is that the harder they try NOT to be influenced by the secular world, by taking on more machmir standards and putting more and more emphasis on the importance of women's clothing, the more they are admitting that they HAVE been influenced by the secular world. I think it's commendable if one individual wants to take on a chumra that's meaningful to her. What's problematic is making a chumra the baseline standard for an entire community. I also want to add that some people argue that tznius is not "as required" as Shabbos or kashrus, for example, because the halacha is of a different nature -- it's mid'rabanan rather than mid'oraisa, or it's das yehudis rather than das Moshe, etc. I am certainly not an expert on this issue, so I'll just say that in my very humble opinion, according to what I was taught, distinctions like das yehudis/das Moshe speak only to the nature and the source of the halacha, not to the importance or required-ness of the content of the halacha. The label "das yehudis" does not mean, "this halacha is more optional than those explicitly mentioned in Chumash."